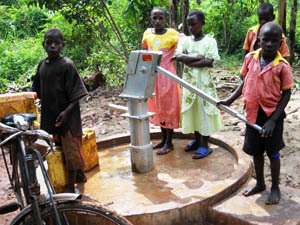 In Uganda far too many children and adults die of preventable water borne diseases such as cholera and typhoid. 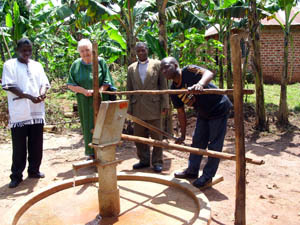 Mityana Charity has so far provided three bore holes to provide clean drinking water in areas where it is most needed. We have provided many schools, medical clinics and some prisons with drinking water tanks, together with gutters along the roofs to collect the rain water. 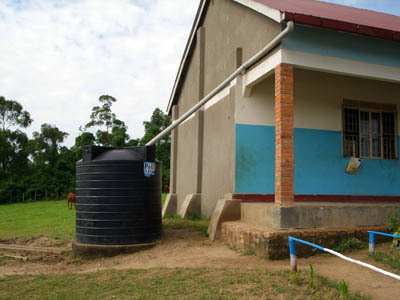 As there are two rainy seasons per year in Uganda these systems provide water for much of the year. The real problem is the contamination of ground water because in rural areas there is often no sewage collection system, so we also construct latrines, particularly at schools, to try to help to overcome this problem. We currently have a series of water projects in progress, and would welcome donations to enable us to do more of this work.